Whatever your taste buds desire, the festival is happy to accommodate your palate. 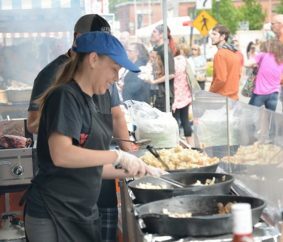 Whether it’s specialty food items such as gourmet oils, hand mixed spices, amazing baked goods, or festival food favorites like elephant ears, fresh-squeezed lemonade, gyros, or bistro sandwiches, your senses will thank you, and you’ll never leave hungry! 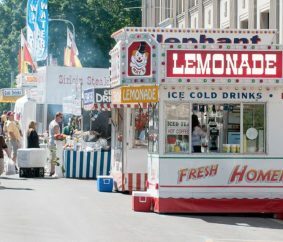 Frazee – French fries, hot dogs, chips, and more! International Foods – Greek choices like crab cakes, gyros, chicken platters, and more! Just Klassics – Sandwiches, wraps, sides, and more! Sutton Concessions – Sirloin, hot dogs, deep fried twinkies, and more!